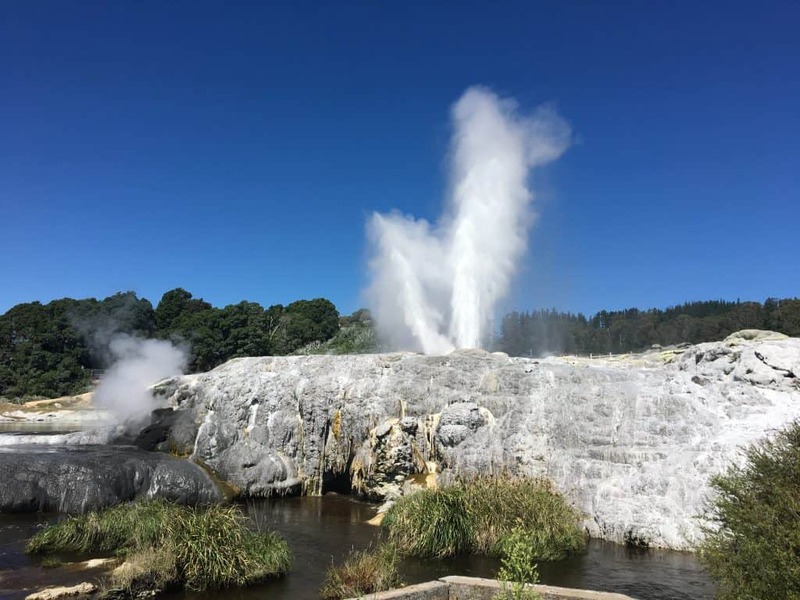 Te Puia in Rotorua is one of the highlights when visiting New Zealand, but the geyser and geothermal wonders aren’t the only attractions here. 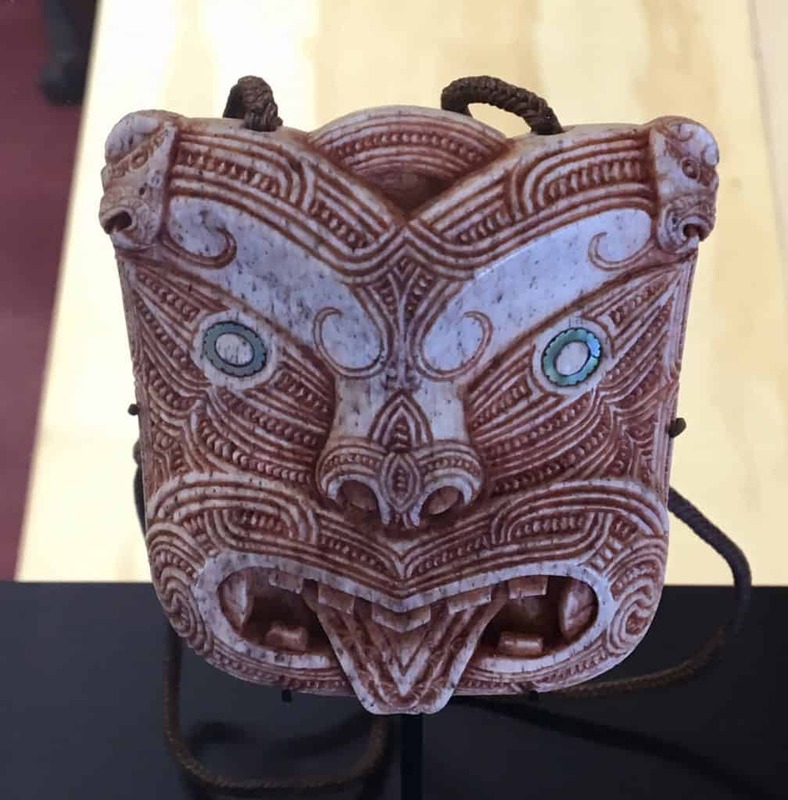 Learning about Māori arts and culture will be something you’ll never forget. 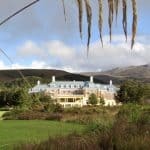 Don’t miss this gem on the North Island! 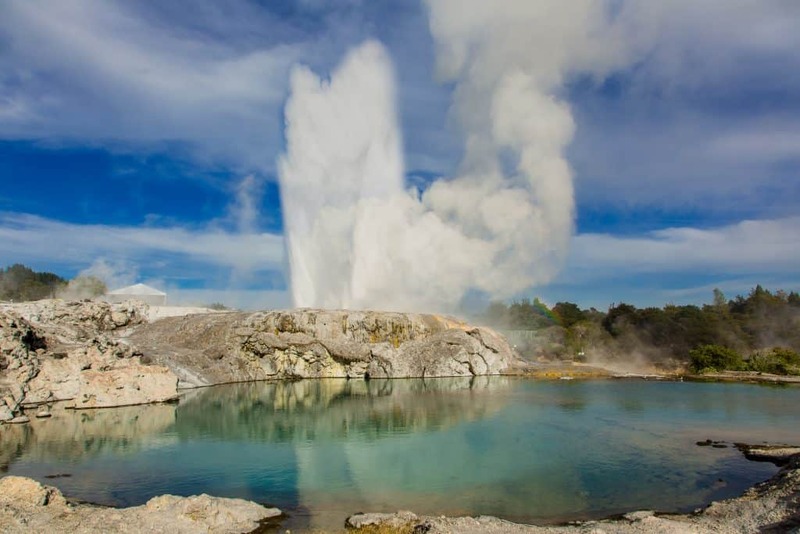 When visiting New Zealand, there are some sights that you simply don’t want to miss, and Te Puia is one of them. Disclosure: my husband and I were given complimentary admission to Te Puia. 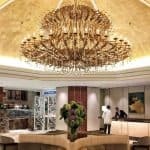 I received a 20% discount on my Auto Europe rental as I collaborate with this outstanding auto rental company. All opinions are my own. If you’ve been following along on my New Zealand road trip, you’ll know that we started in Auckland on a very rainy day and decided to stay one more day until the rain cleared a little. 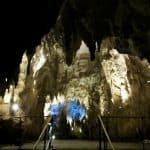 We discovered the wonderful Waitomo Glowworm Caves on our third day. 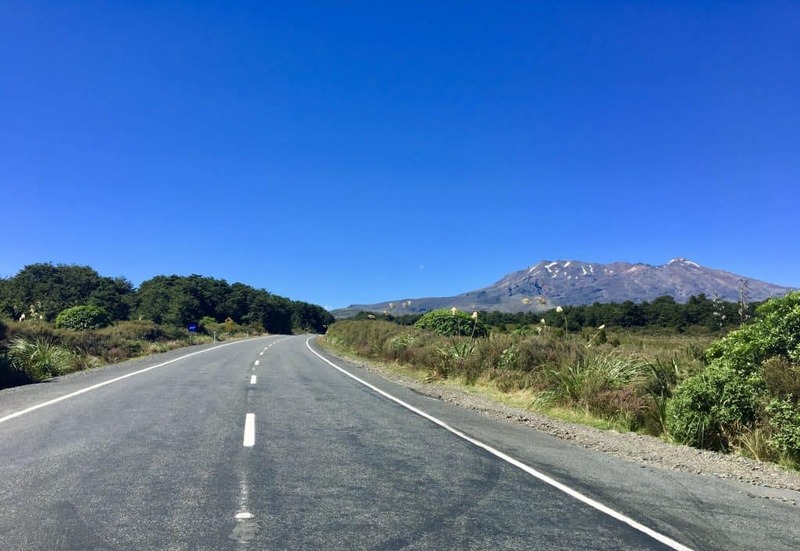 After that, we continued south, but then headed north to Tongariro National Park, which brings us to the day we drove to Rotorua. 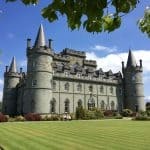 My husband and I love the flexibility of hiring a car when we travel. I used Auto Europe long before I partnered with them on Europe trips. 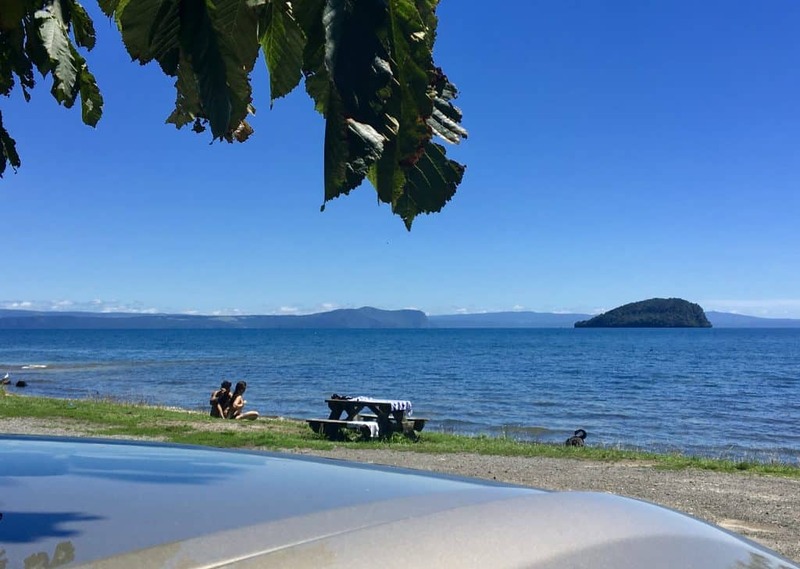 I had rented our car for 6 days in New Zealand and we basically decided day to day where we would go. We were able to see so much of the countryside as we drove. When we left Tongariro National Park we drove past Lake Tuapo on the way to Rotorua. A pit stop along the way. You can’t do that on a bus or train! 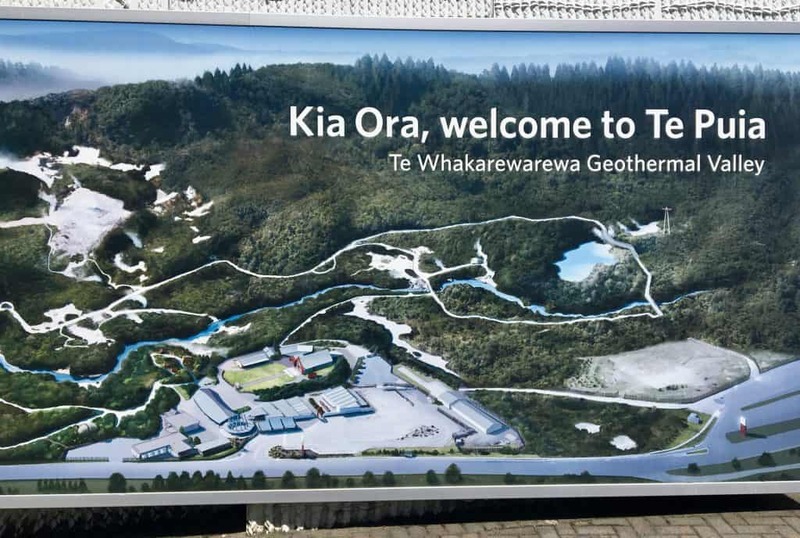 Once we arrived in Rotorua, the first place we stopped was Te Puia. I had just seen Paperboyo (one of my favorite Instagram accounts to follow) here on his recent trip to New Zealand. We were so lucky to meet Sean, the marketing director for Te Puia, who gave us a guided tour. As you can see from the map, the location is surrounded in geothermal activity and so the smell of sulfur is quite strong. Although it’s not my favorite “scent”, I think it adds to the experience. I can’t imagine it being the same with no smell in conjunction with the geysers and pools; what do you think? Sean gave us a pronunciation lesson on one of the longest words I’ve ever seen! Click the photo to hear Sean say the word. The pōwhiri (‘poor-fee-dee’), a traditional Māori welcoming ceremony was just beginning, so we went to watch. Sean explained what was happening and why the warrior/dancers were doing what they were doing. It was really interesting and entertaining at the same time. We didn’t stay to watch the entire ceremonial dance because Sean had been keeping an eye on the geyser and noticed what was happening: Pōhutu was starting to erupt! 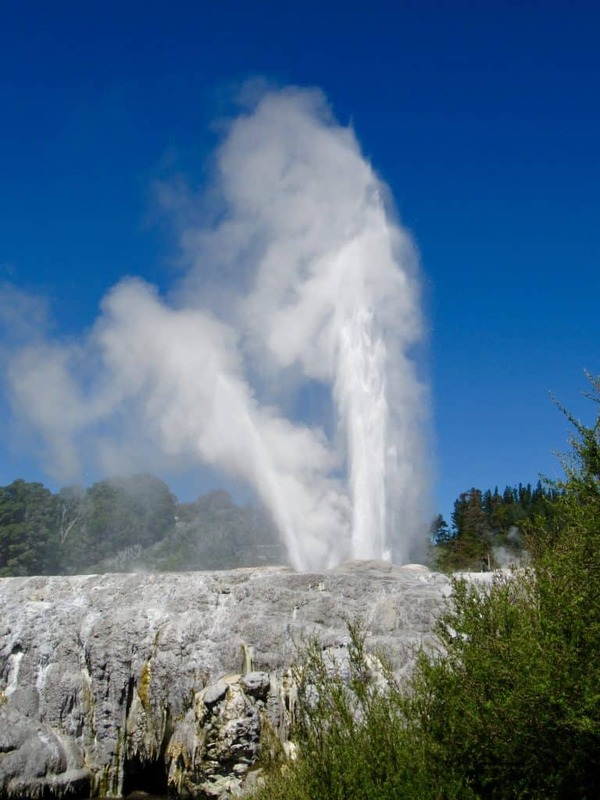 It actually could have been Te Tohu, which is a smaller “indicator” geyser next to it which we saw first. It only took a couple of minutes to walk over to the geyser viewing area and it was quite a sight to behold. 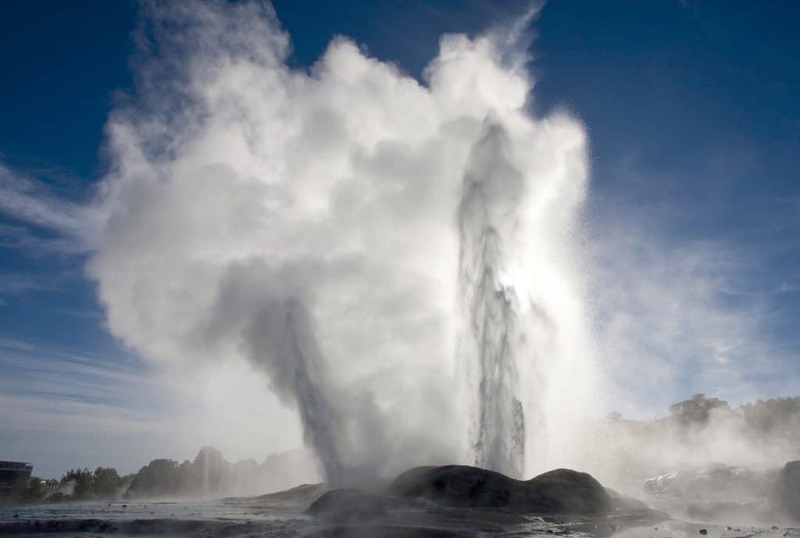 I’ve seen geysers before, but they never cease to amaze me like so many other natural wonders. We walked around and watched Pōhutu from different angles, then Sean explained the culinary classes offered at Te Puia. You weren’t expecting that, were you? 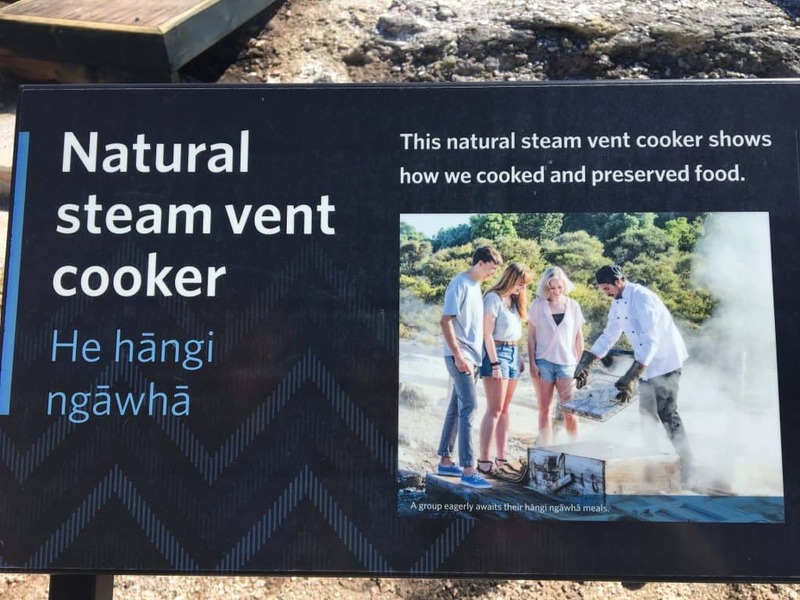 I wasn’t either and was simply intrigued by this manner of geothermal cooking! I wish I had had more time to take one of the classes. 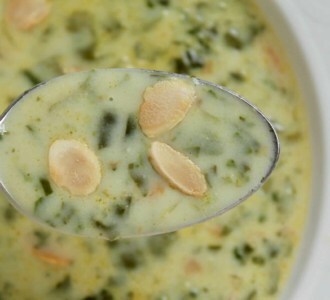 Steam baskets are placed over a vent then the food is cooked to perfection due to the precise temperature of the steam. 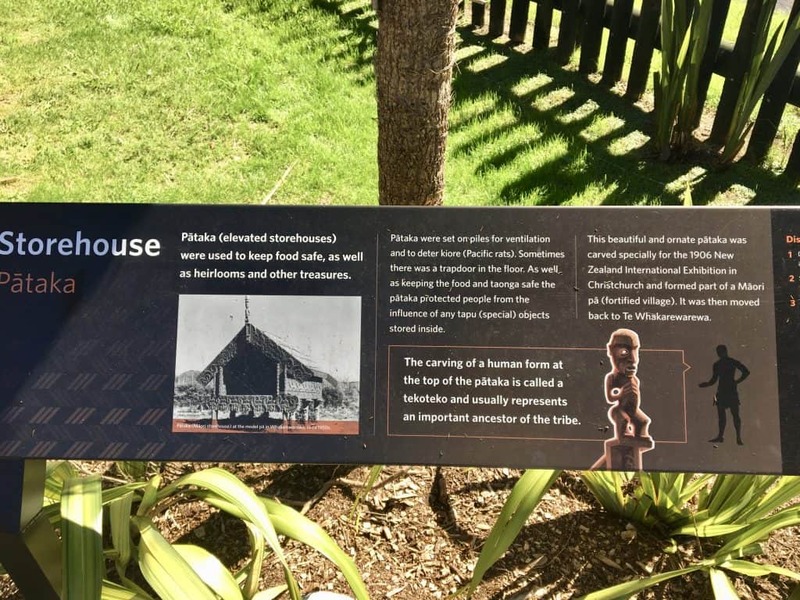 This is how the Māori used the area to cook their food along with a few other methods, and it was simply fascinating. 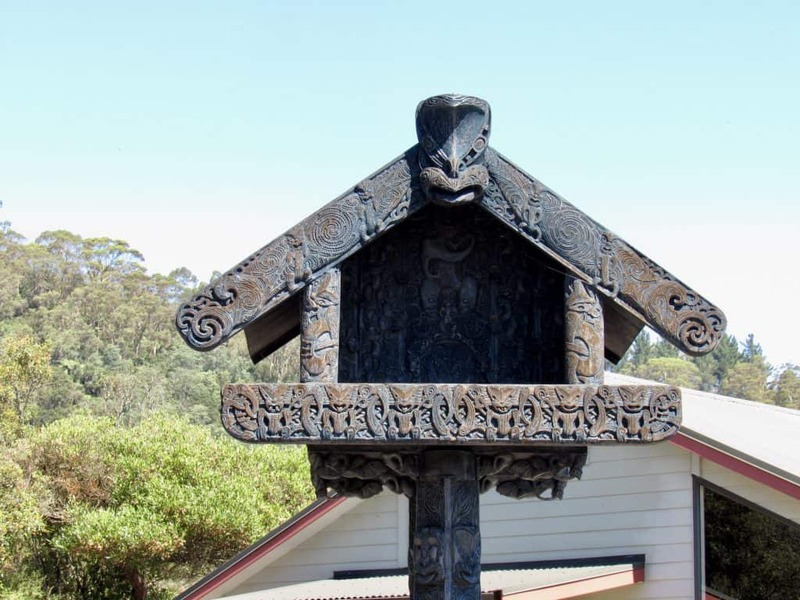 Next, Sean led us to the Māori Arts and Crafts Institute. 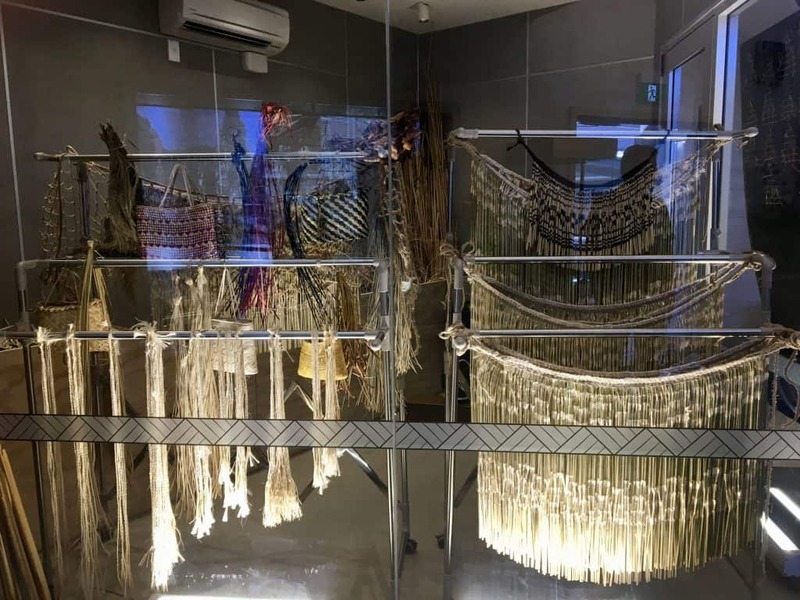 I could sense his passion for the mission in this educational center: keeping the Māori culture alive and passing it down through generations. He said that he likes to say that they are a school next to a geyser, and it’s true. This non-profit organization is a fantastic entity. He gave us a tour and I understood his passion more clearly. 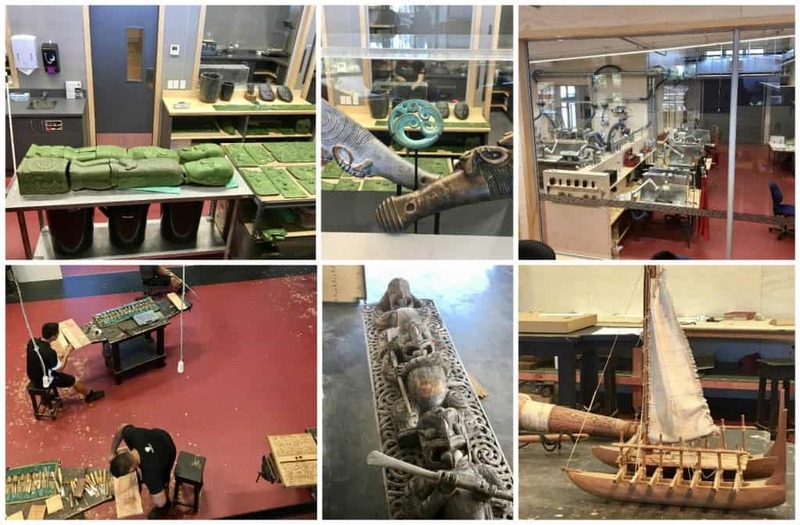 Students were creating beautiful pieces of art, via stone-carving, bone-carving, wood-carving, weaving, and building, in different sections of the school. I was amazed at the pieces that were made from New Zealand flax, given that I have these plants growing in front of my house. I had only thought they were decorative plants, but I was so wrong! There was still more to see when we left the Institute. We didn’t even take any of the nature walks, either. Plan on spending a full day here if you come to New Zealand. Sean explained the incredibly carved and decorated storehouse to us, which was really interesting. It was located next to the carved meeting house. 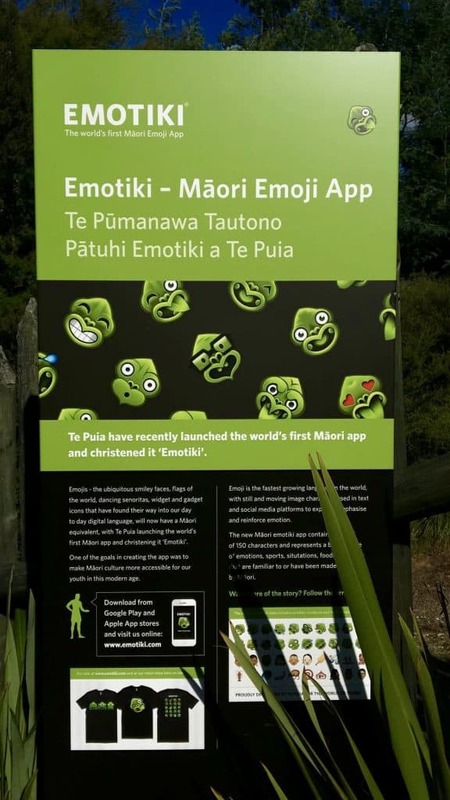 I know this has been a long post, but I have to tell you about the Emotiki Emoji app! You might have noticed these on Sean’s t shirt. You can get more information HERE in case you want these cool emojis for your phone or your own t shirt! To conclude, I’d like to hand it over to Te Puia to give their own description their incredibly fascinating spot in New Zealand. 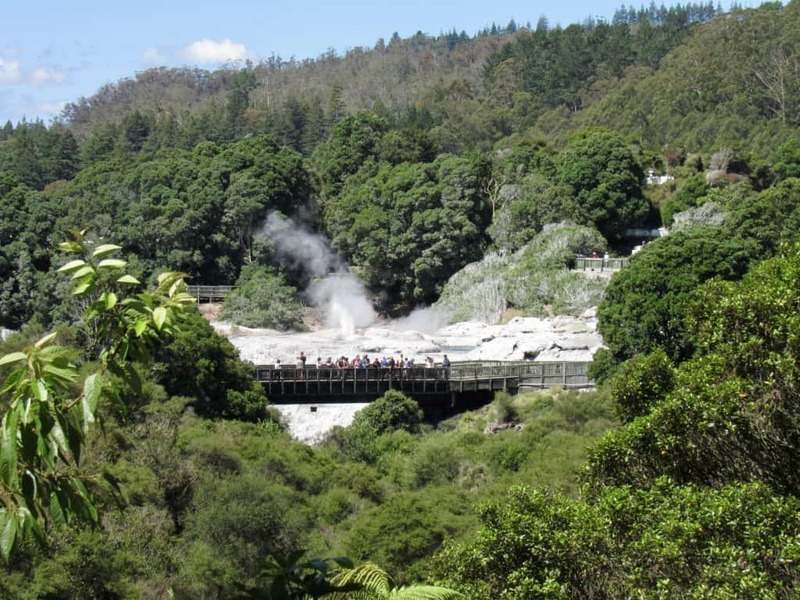 Te Puia spans 70 hectares in the beautiful Whakarewarewa Geothermal Valley, on the edge of Rotorua. 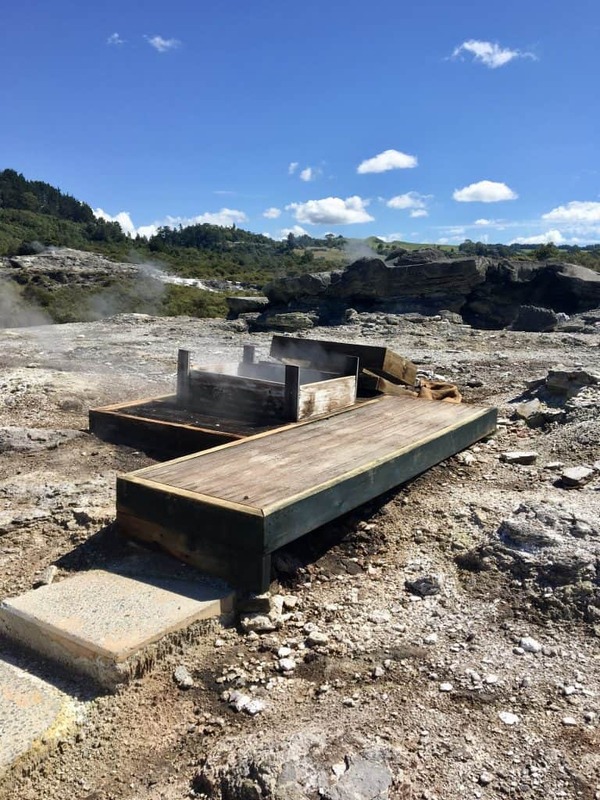 We are home to the world famous Pōhutu geyser, mud pools, silica terraces and other breathtaking geothermal attractions. 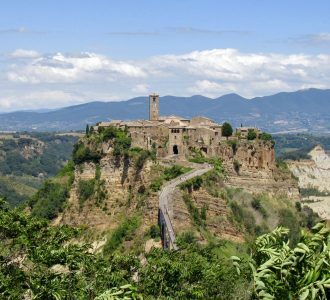 You can experience these with our friendly guides, who pass on the dramatic stories and wisdom of their ancestors, many of whom used to live here. 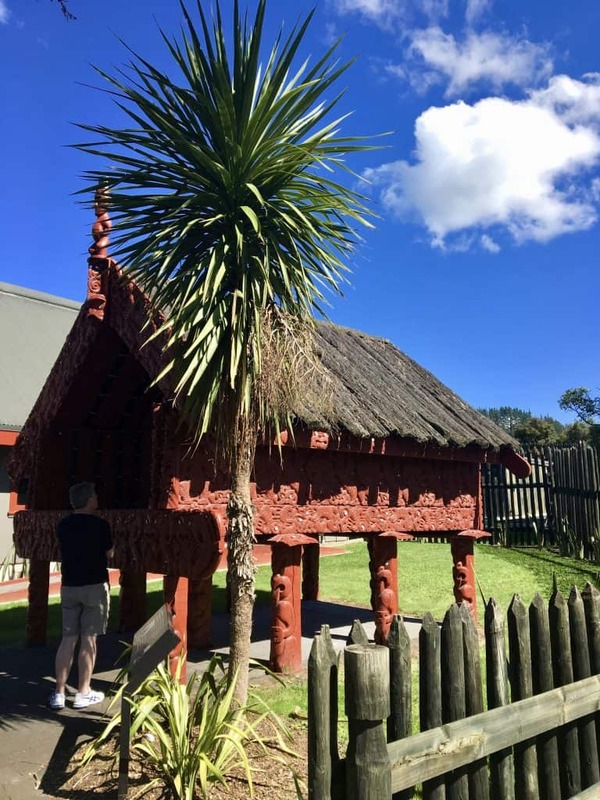 Te Puia is New Zealand’s premier Māori cultural centre, housing national schools of weaving, wood carving, and stone and bone carving. The schools proudly display our rich artistic traditions, passed down through many generations. 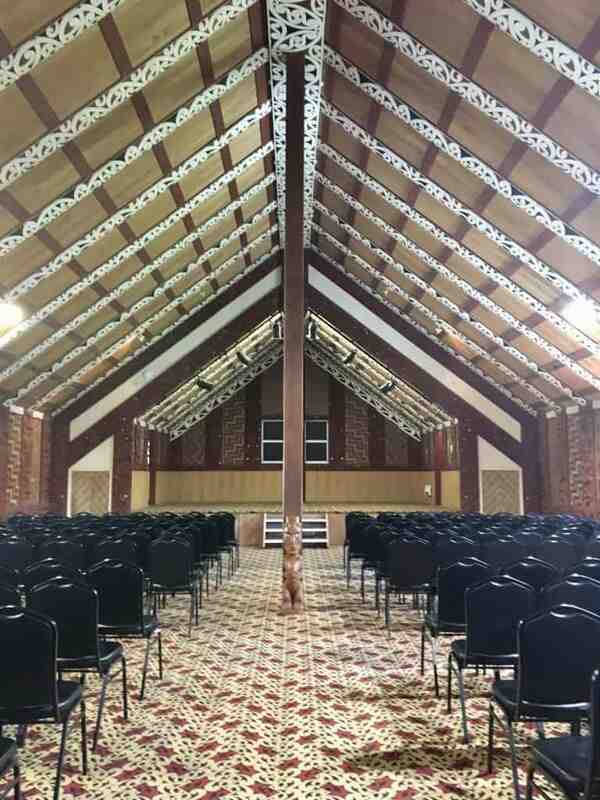 Te Puia also holds daily cultural performances, including singing and dancing, in our stunning carved meeting house. 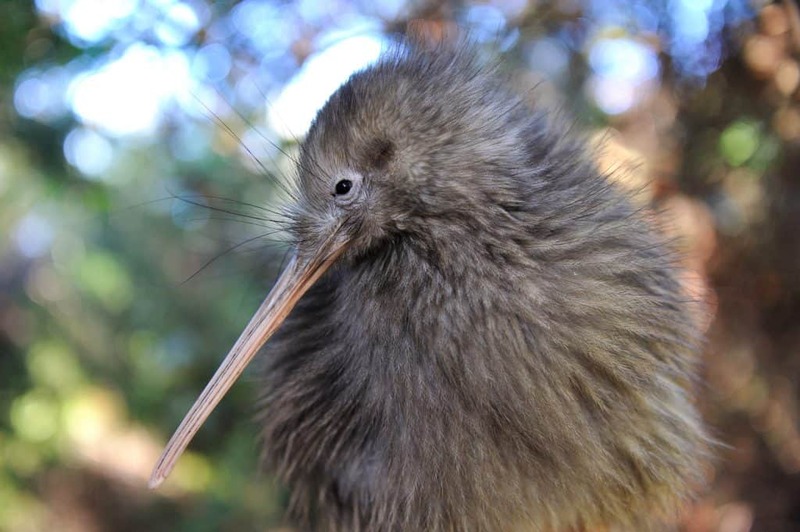 We also host live kiwi, New Zealand’s most famous native bird, which you can see in our nocturnal Kiwi House. 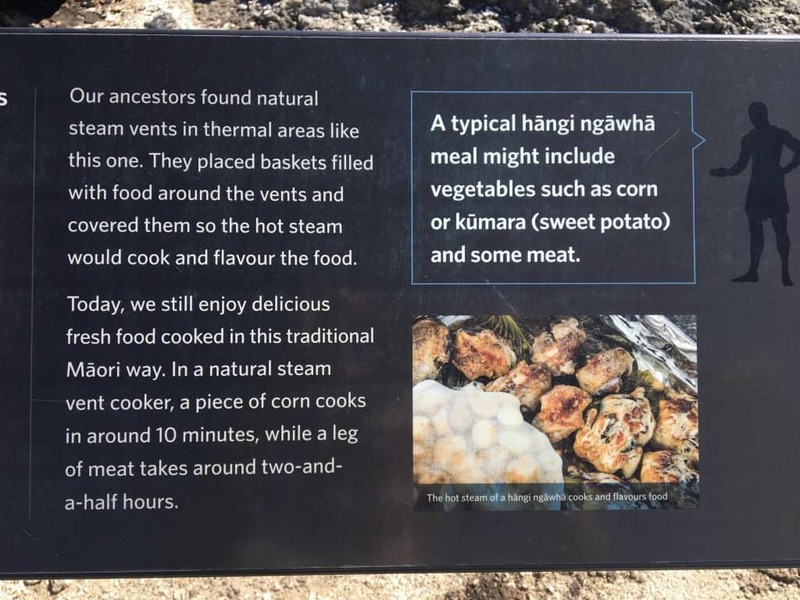 You can also enjoy delicious steamed food at Te Puia, cooked the traditional way in our natural geothermal environment. 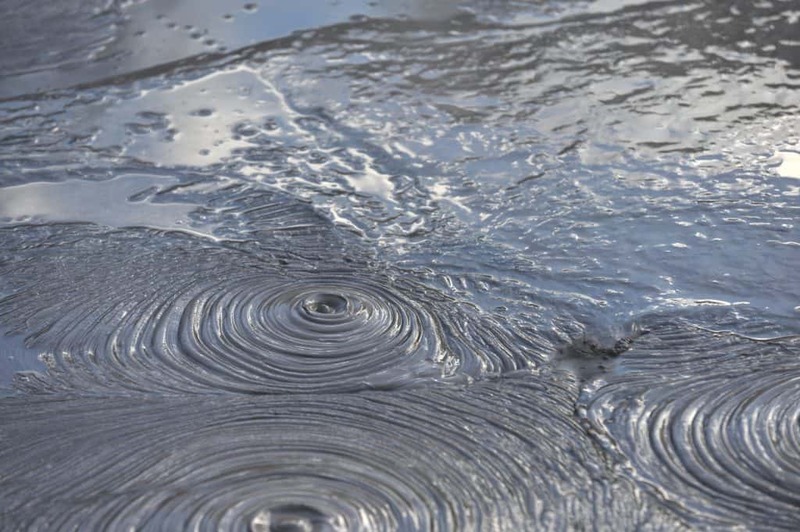 Before you visit New Zealand, be sure to check out Te Puia’s website for more information about visiting. 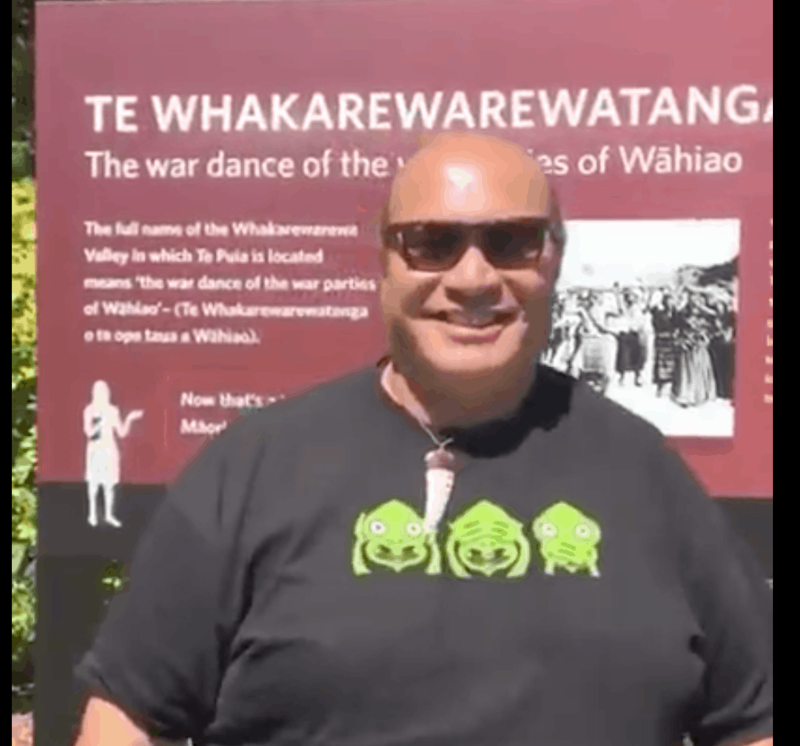 To Sean: thank you so much for your time and wonderful tour of Te Puia when we came to visit! We also appreciated your suggestion to head to the coast and see Mount Maunganui; we LOVED it! How could Sean keep a straight face when saying that very long word. Thank you for including that video! What a gorgeous place Te Puia is! 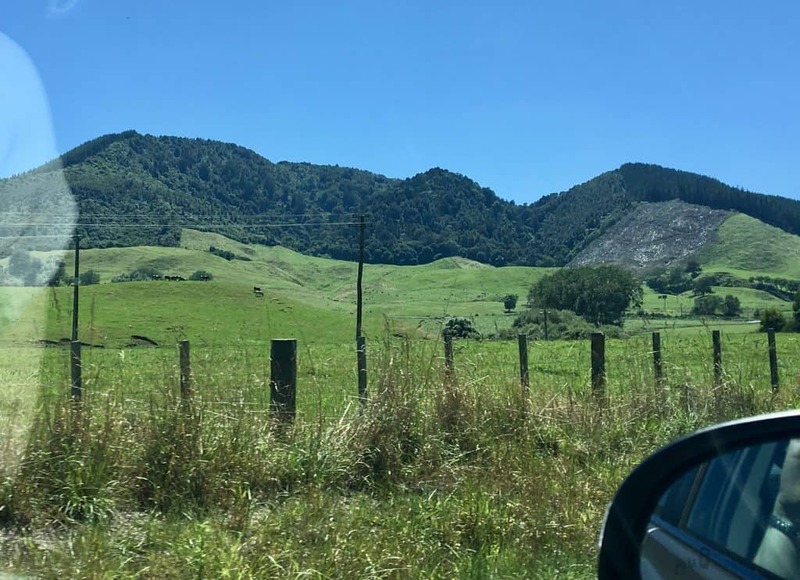 I can’t wait until I can really explore New Zealand as all of your photos are so inviting! We are pretty much the opposite when it comes to travel! I am so tired of driving but I can’t wait to sit on the train and watch the world go by. That said, I have used Auto Europe several times and love the company! Great service, and never any problems. I’ve never even heard of this geyser,, so thanks for bringing it to my attention! I don’t know much about train travel in New Zealand! That’s something to google! :) Hope you get to visit, though! It’s a fantastic place! 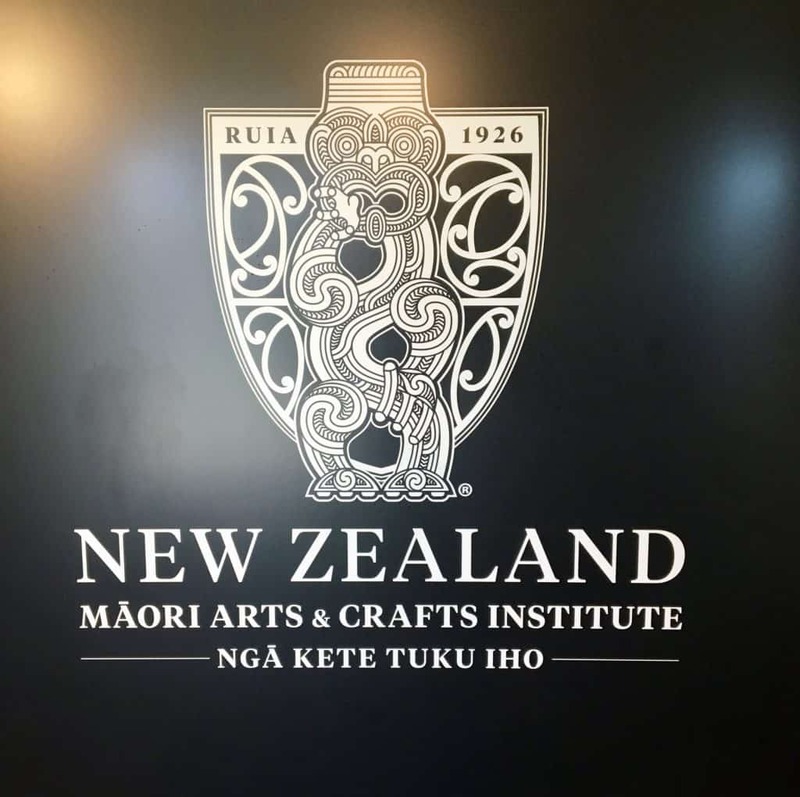 Māori Arts and Crafts Institute looks like I could get lost in for hours. Thank you so much for sharing. It is nice to take these trips with you through your journeys. 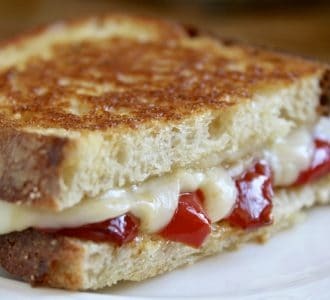 Somehow I stumbled upon your site, I enjoy your recipes and pics. One day I’d love to see New Zealand. 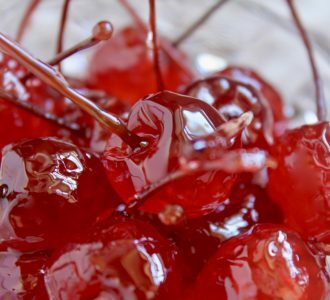 Gorgeous pics you took. Thanks for sharing. I hope you go, also, Lori! 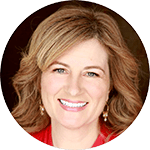 I have a free subscription you can sign up for (no more than 2 emails a week, usually one travel and one recipe) if you like :) Thank you! 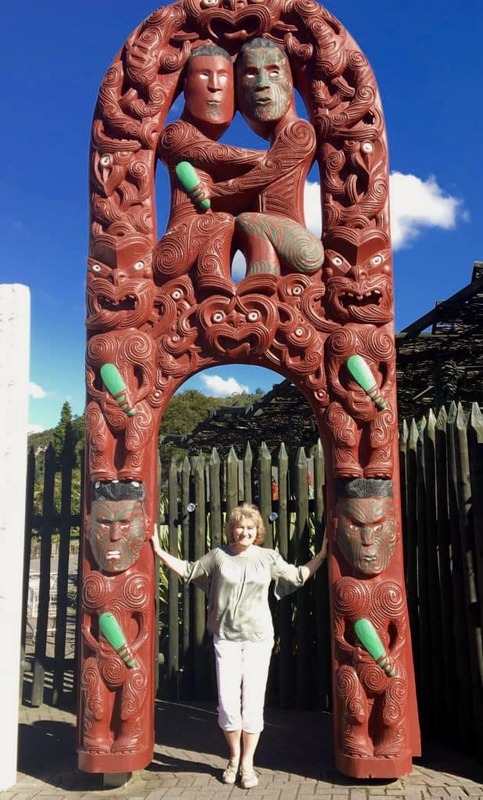 We loved learning about the Maori culture in Rotorua too. New Zealand is such a peaceful and beautiful country. Looks like you packed a lot in! 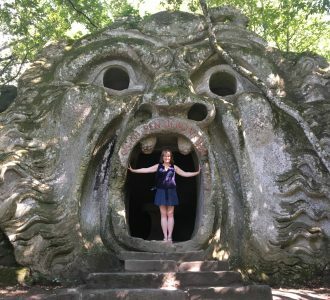 I’m so glad the Institute exists! 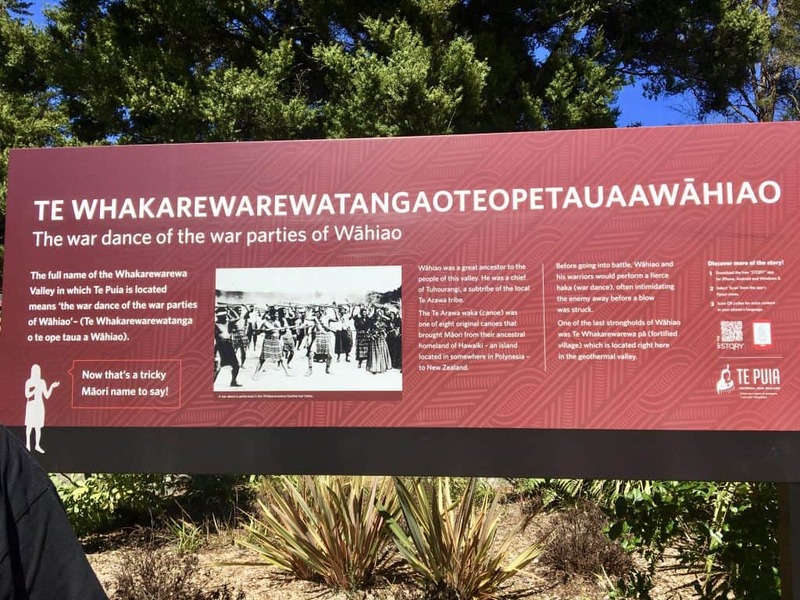 It will insure future generations will know about the Māori culture, too! Each day of your trip sounds fascinating. Thanks for sharing your experiences with us! 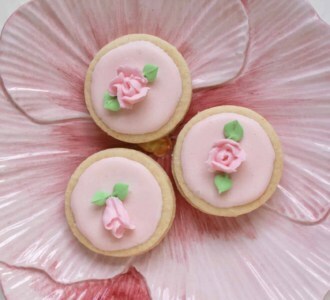 Thank you, Peggy! New Zealand was a wonderful country!